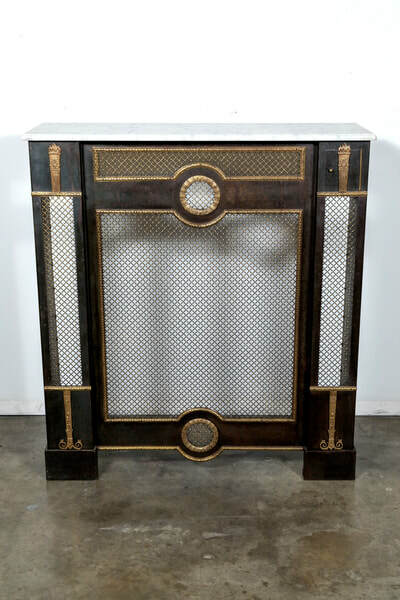 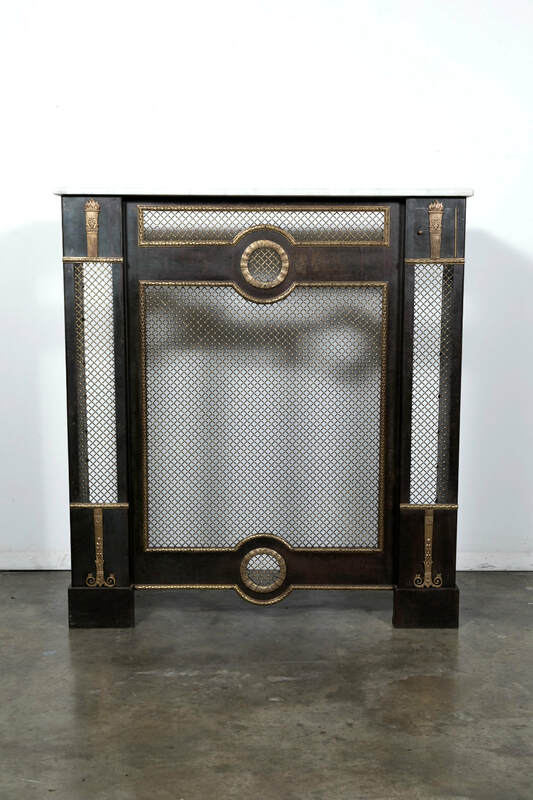 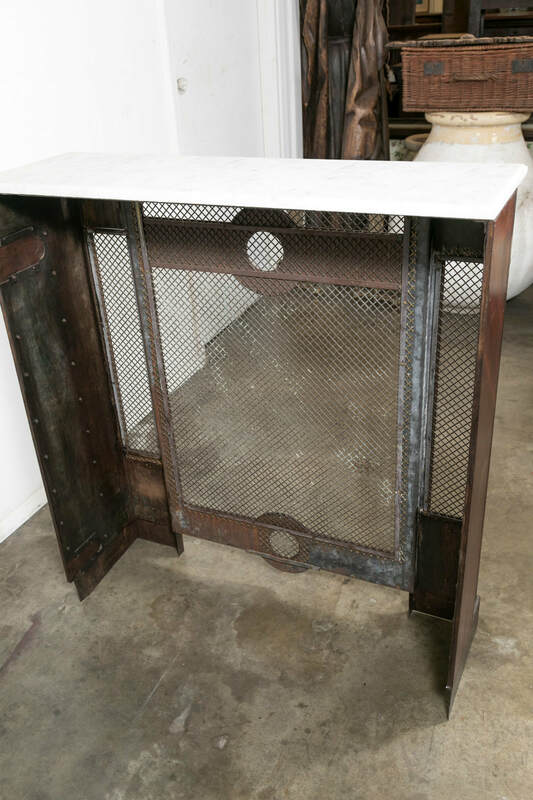 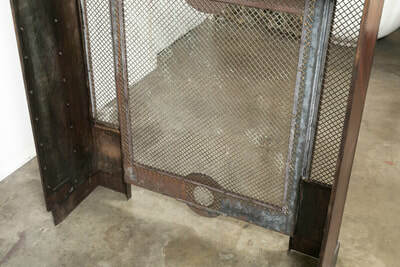 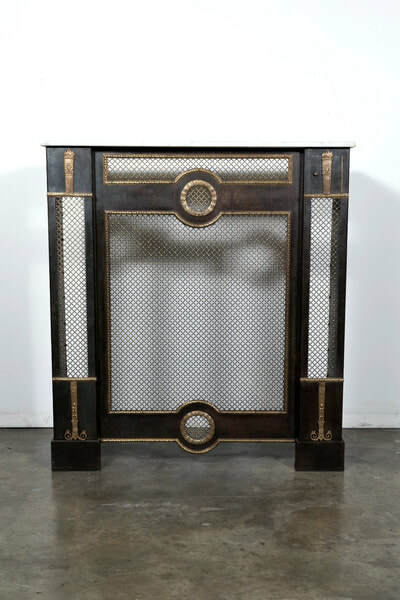 Rare French Louis XVI style wrought iron radiator cover with a white Carrara marble top, having mahogany panels with fruitwood inlays on each side. 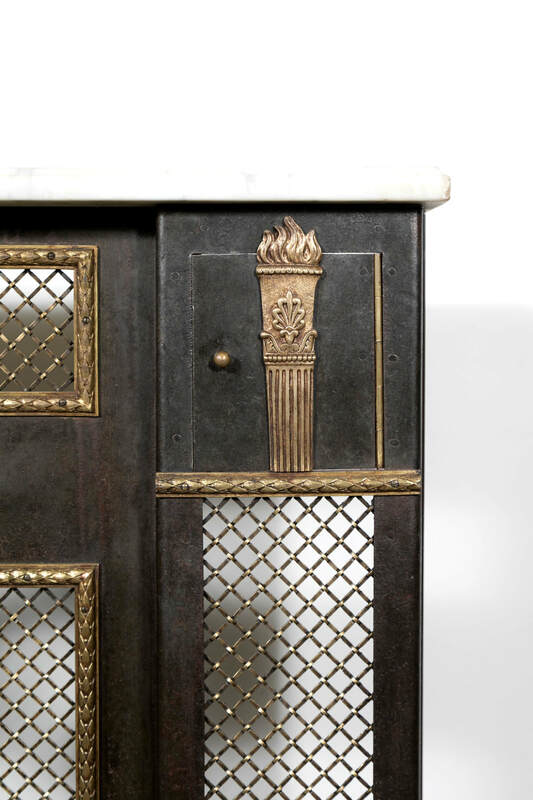 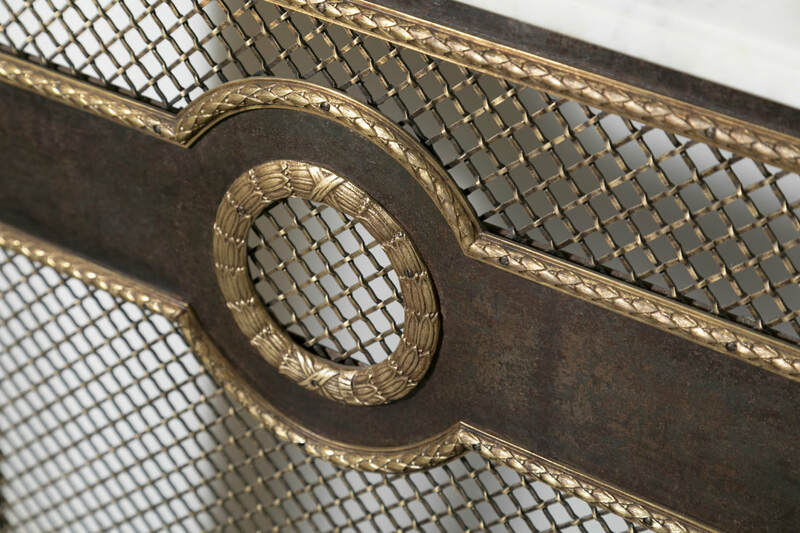 This handsome cache radiateur was made in Paris during the 1930s and features heavy brass wire and Louis XVI motifs including finely chased bronze ormolu flambeaus, laurel wreaths, palmettes, and garlands. 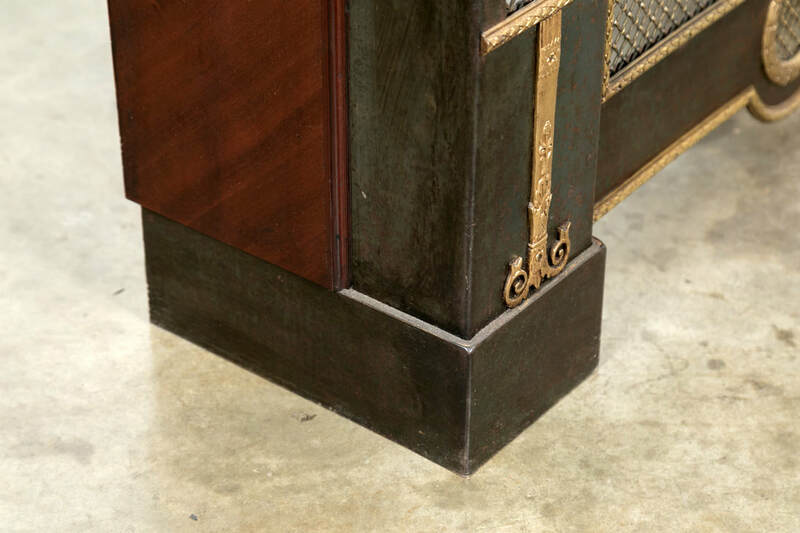 Beautiful aged patina. 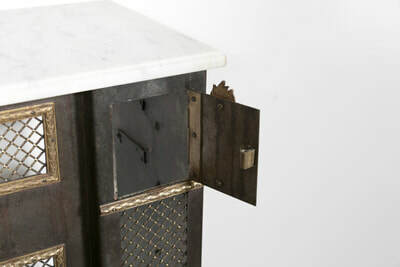 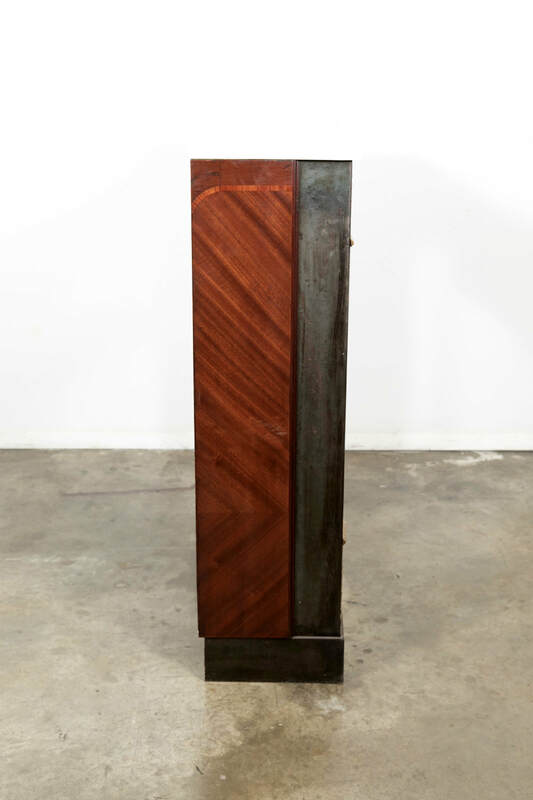 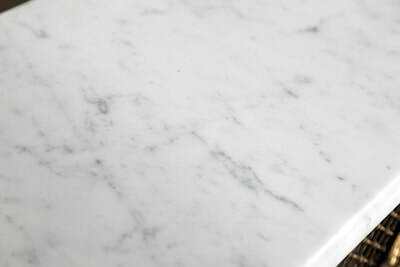 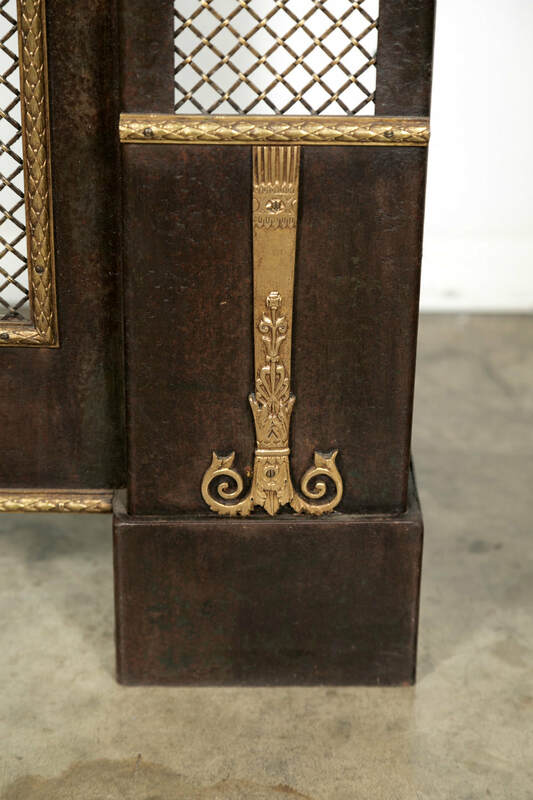 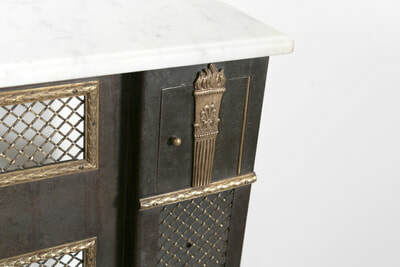 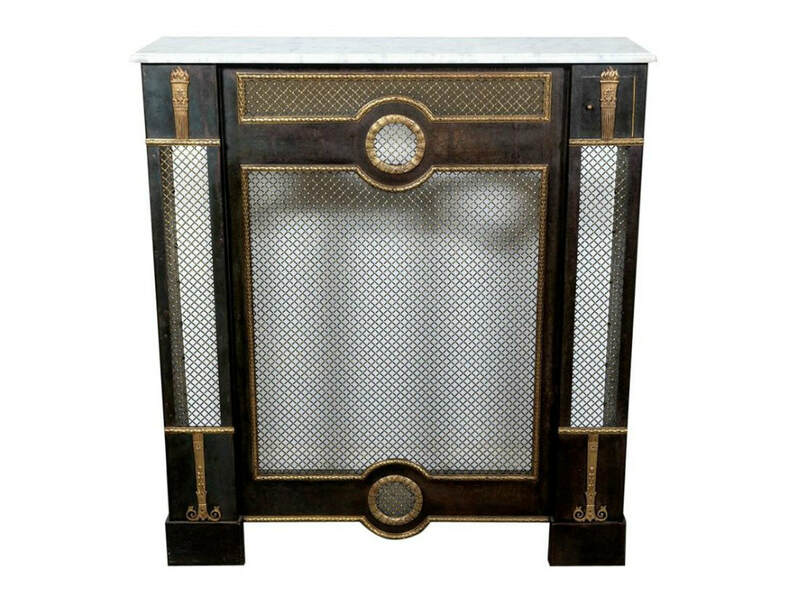 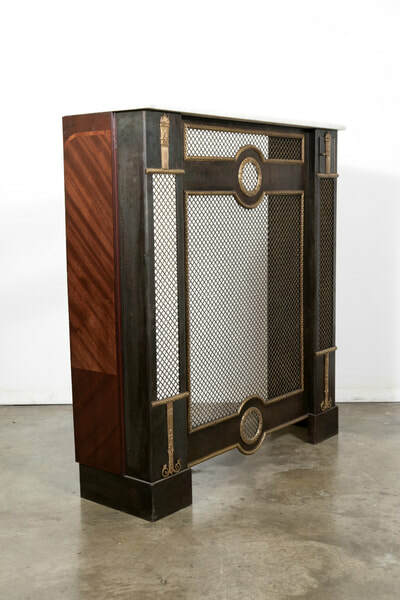 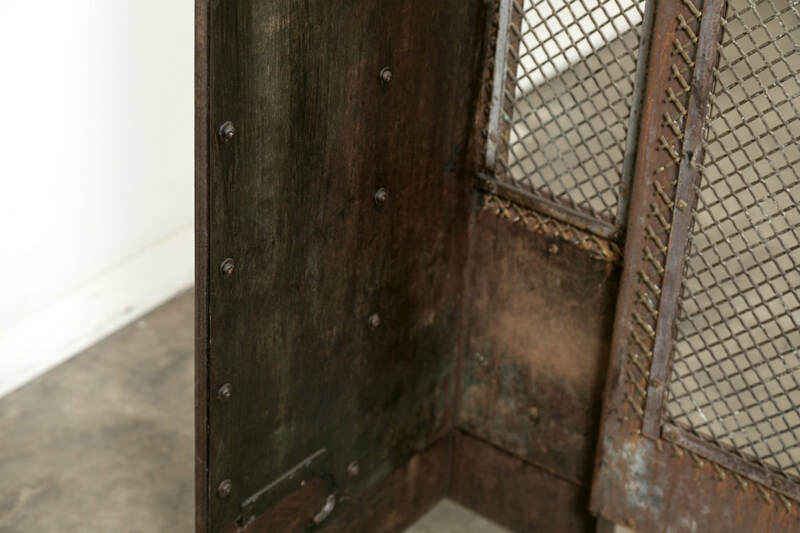 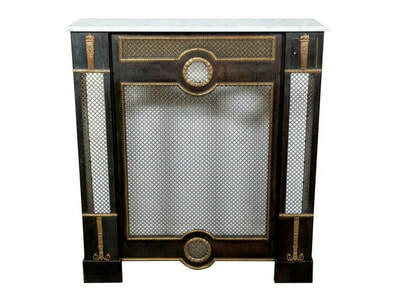 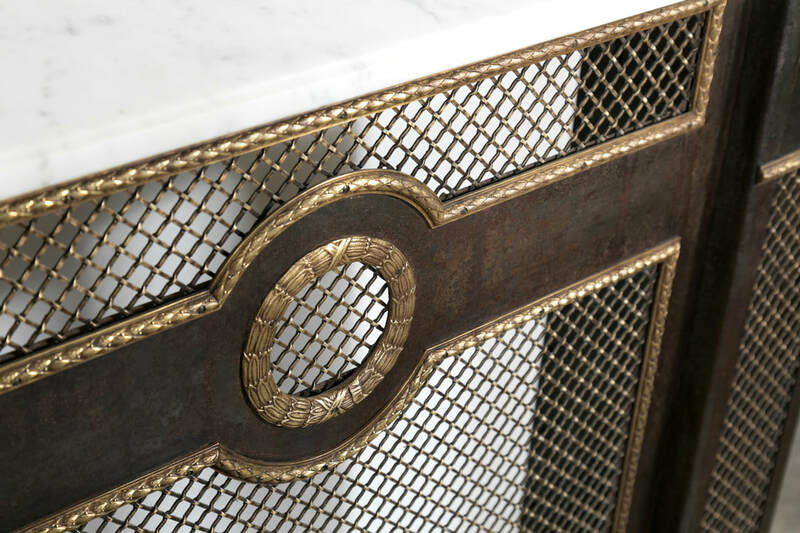 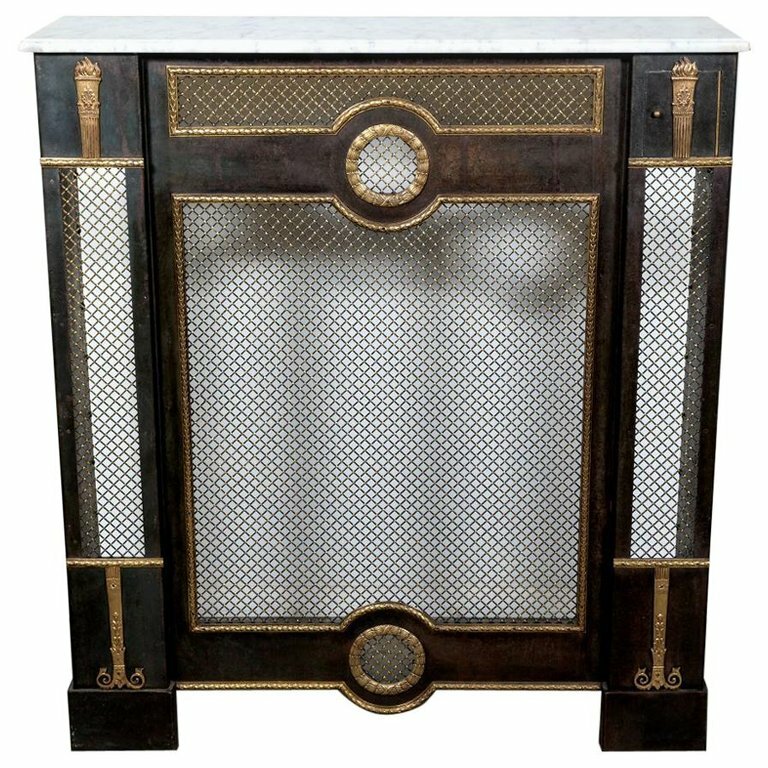 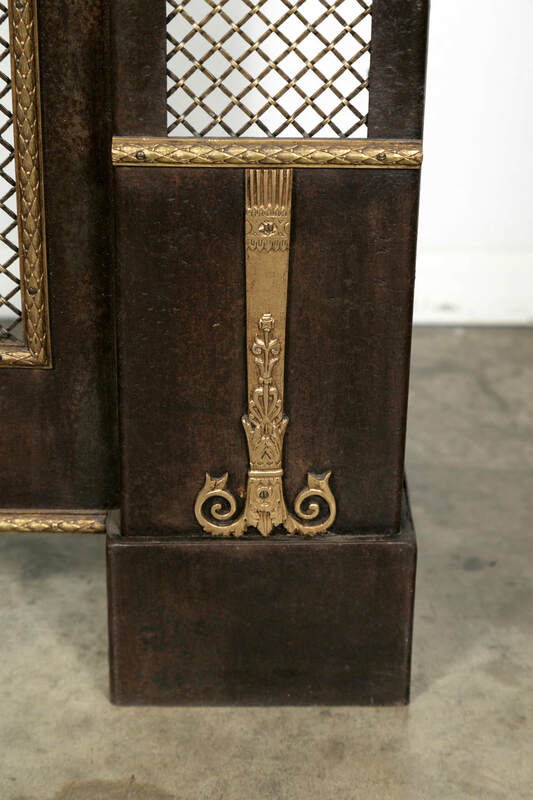 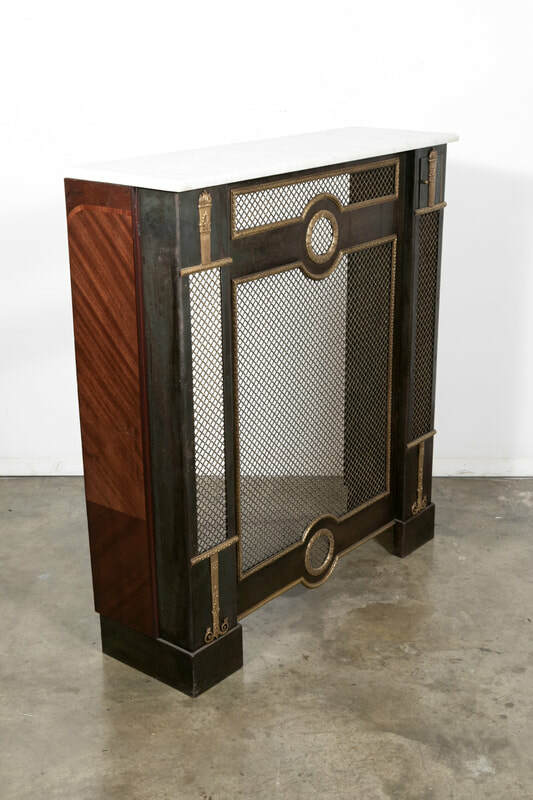 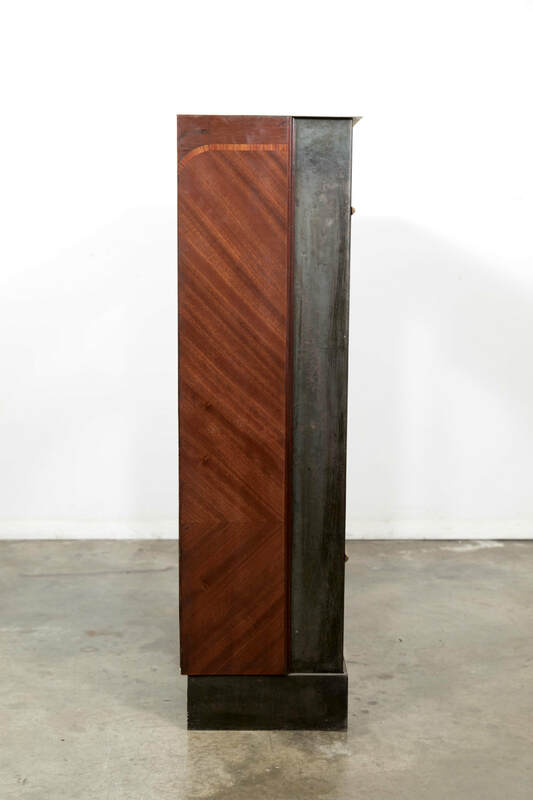 Fabulous as a radiator cover, it would also make a wonderful console, serving piece, or vanity.